According to reports on Google's fourth-quarter earnings, the company spends more money on European fines than it does in taxes. The tech giant Google has been fined €50 million (~$57 million) by French regulators, the first major penalty under a sweeping new European Union privacy law known as GDPR, which took effect last year. 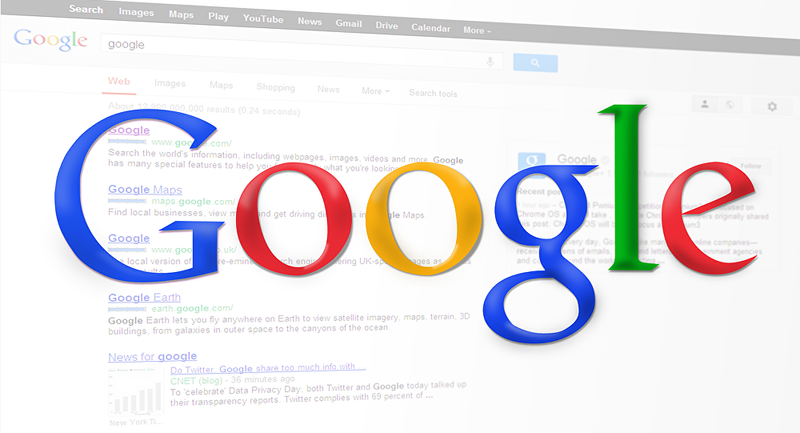 According to a French government agency, Google is still in breach of the law. Radio Sputnik has discussed this issue with Daniel Castro, the vice president of the Information Technology and Innovation Foundation (ITIF) and Washington, D.C.-based director of the Centre for Data Innovation, which formulates and promotes public policies designed to maximize the benefits of data-driven innovation in the public and private sectors. Sputnik: How did it happen that a company the size of Google ended up paying more in European fines than it does [in] taxes? It sounds as though this is [a question] that would scratch anybody's head I think. Daniel Castro: It is true. I mean the amount of fines and the level of fines has gotten out of hand in the last few years. We have seen this now in Europe with a strong push to impose massive fines on companies for the way they handle their data, for concerns about antitrust, and you know, the level of fines suggest that they are mostly targeting US companies. Sputnik: I had enormous amounts of emails from various companies telling me that this new legislation was coming in — the GDPR. So the general public has a good understanding of it, they know the strategy and why it is there to protect them. Google, a massive, billion-dollar company, why can they not get the strategy in their policies into place to just have a basic understanding of this? It really does question the management of this huge company, doesn't it? Daniel Castro: Well, the challenge that we are seeing is that the GDPR, this new data privacy law that went into effect in Europe, is so complex and so massive and there is so much ambiguity in the law that even a company like Google, that has dedicated millions of dollars to compliance, is having trouble getting there — at least to the standards of the European regulators. And what that means is that, how can any smaller company possibly comply with this law when they have significantly fewer resources? Even today we saw the German antitrust regulators make a claim against Facebook, arguing that they were going to take action against Facebook for how they are handling consumer data — not because they violated GDPR, but because they said since they are such a large company, they are going to be held to an even higher standard than exists in the Data Protection Law. And that is what the challenge is for these companies, complying with this moving standard that they can't get right, because the rule isn't clear enough. Sputnik: What prospects does the company have in the European media market, given the European regulatory policies? It is very hard for them to do business then, isn't it? Daniel Castro: I think it is a growing challenge and I think that's why you have seen these companies make statements that they are planning to have to pay these fines. They see this almost as a cost of doing business in Europe now because they recognise that there is little they can do to be a 100 percent compliant and it is going to be a challenge for the European economy. How can they possibly take advantage of all these technologies if they are fining companies this much and making it so hard to do business in the European Union? Sputnik: What is your prediction for the situation developing as time goes by? Daniel Castro: Well, you know it is good news right now for Chinese companies because they are focusing on other markets and they are growing there. The question is going to be in the future: are we going to see that Chinese dominance outpace Western dominance, or are we going to have the United States and Europe work closely together so that Western companies can be as successful as well? Sputnik: We have the issue with regard to investors that have expressed concerns following the announcement. How can this impact the company in general? Daniel Castro: Well, one of the biggest challenges is whether other countries will be adopting laws like GDPR and then targeting large tech companies, especially if they think it is an opportunity for revenue from them. And that is where I think there is a bigger geopolitical concern for a lot of these big companies. How can they address this threat, not just from the EU, but from other countries that might decide to copy them? Sputnik: Now Google intends to appeal to a reprimand by regulators in France, who have cited the company for violations of the GDPR. What could come out of this appeal? Have you got any predictions? Daniel Castro: Well, the French Data Protection Authority did seem to jump at this chance to go after Google. Traditionally it would be the Irish Data Protection officials who regulate them, because of where they are based. One of the provisions in this new data protection law is that all the different data protection authorities from all the different European countries have to come together and standardise their practices. So it could be that the French got a little ahead of their peers and they might roll this back, but it remains to be seen exactly how this will finally be adjudicated.